IITK-BMTPC Earthquake Tips: Targeted at stakeholders in the building and construction industry, this very popular series introduces the basics of earthquake resistant design concepts in a simple and easy to understand format. Hindi Version also available. Author: C.V.R. Murty. 56 pages in colour. Seismic Isolation for Designers and Structural Engineers: The seismic isolation technology helps in protecting structures from earthquake damage. This new book provides both theory and practical aspects of seismic isolation technique. 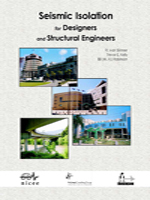 It contains the necessary mathematical tools and introduces the empirical methods with detailed design and documentation material of type that a structural engineer would need to implement isolation technique. Authors: Trevor E. Kelly, R. Ivan Skinner and Bill (W.H.) Robinson. 373 pages. 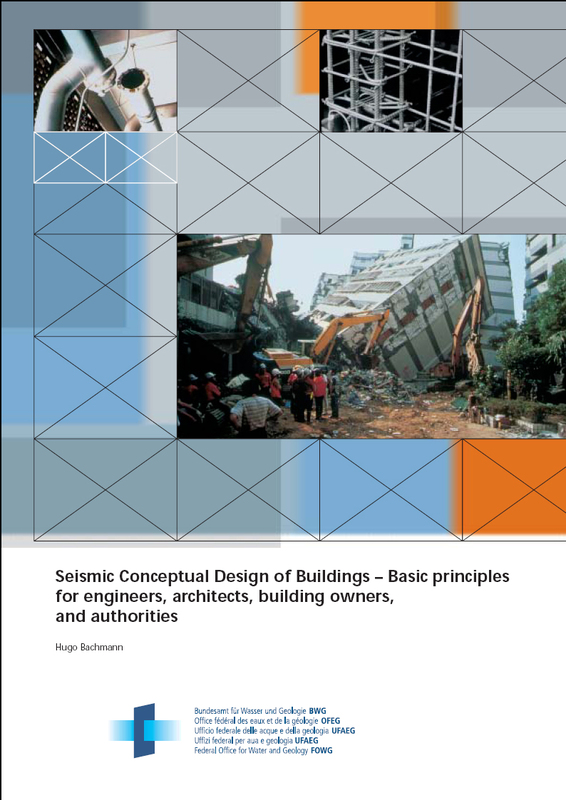 Seismic Conceptual Design of Buildings – Basic principles for engineers, architects, building owners, and authorities: This monograph conveys the concept of earthquake resistant design of buildings in a very simple and pictorial style. Authors: Hugo Bachmann. 84 pages. AT RISK: The Seismic Performance of Reinforced Concrete Frame Buildings with Masonry Infill Walls: A tutorial developed by a committee of the World Housing Encyclopedia, a project of the Earthquake Engineering Research Institute and the International Association for Earthqauke Engineering. Authors: C. V. R. Murty, Svetlana Brzev, Heidi Faison, Craig D. Comartin and Ayhan Irfanoglu. 80 pages. 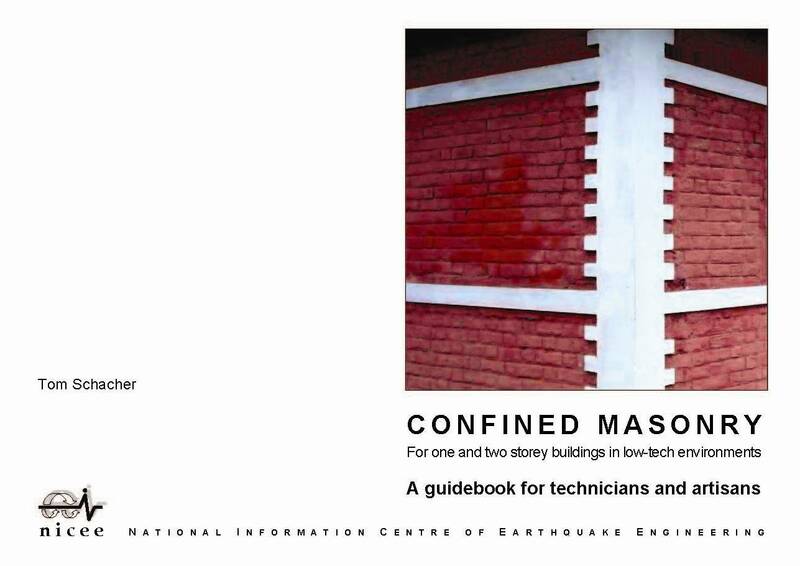 Confined Masonry - A guidebook for technicians and artisans: This manual is meant for artisans, masons, and homeowners engaged in construction of one- and two-storey dwellings in a low-tech environment. It provides clear guidance on the construction aspects as well as do's and don'ts. Authors: Tom Schacher. 20 pages. 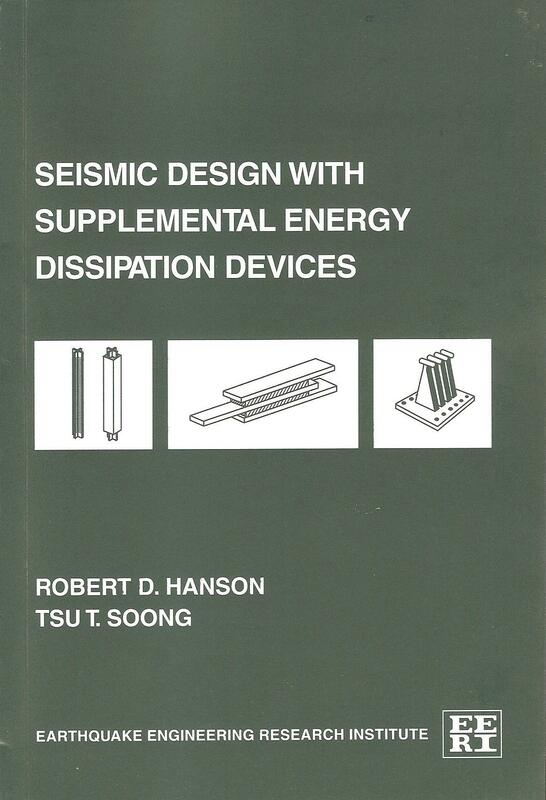 Seismic Design with Supplemental Energy Dissipation Devices: The purpose of this monograph is to impart basic concepts of the supplemental energy dissipation technology to design engineers, architects, and buildings officials so they can understand its benefits and limitations in structural applications. Authors: Robert D Hanson and TSU T Soong. 135 pages. Earthquake Spectra and Design: This monograph provides an overview of the earthquake design procedure, with particular focus on buildings. 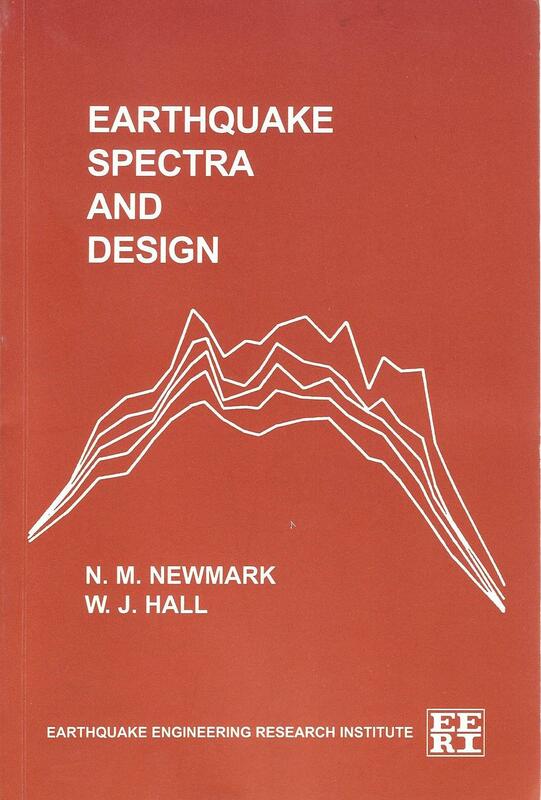 It describes the concept of Design Response Spectra, both elastic and inelastic.Authors: N M Newmark and W J Hall. 103 pages. 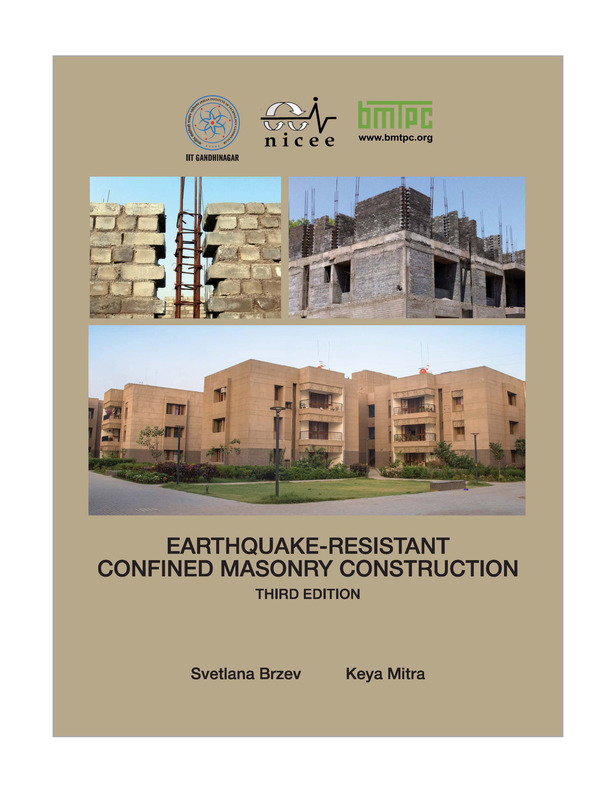 Earthquake-Resistant Confined Masonry Construction: This document presents confined mansonry construction as an alternative form of masonry construction in seismic areas. It contains a review of the international state-of-the-practice as well as guidelines for construction of new structures by this method. Authors: Svetlana Brzev and Keya Mitra. 142 pages. Guidelines for Earthquake Resistant Non-Engineered Construction: This monograph of the International Association for Earthquake Engineering covers monry, earthen, wooden and reinforced concrete buildings. The simple, presentation style enables the common man to apply these techniques in non-engineered constructions. Available in English and Hindi versions . 114 Pages. 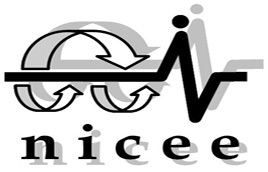 Guidelines for Earthquake Resistant Non-Engineered Construction: Published in 1986 by International Association for Earthquake Engineering Hindi Translation in June 2004 by National Information Center of Earthquake Engineering, IIT Kanpur. Fundamentals of Seismic Protection for Bridges: This EERI monograph discusses the seismic performance of bridges, and current practices in the seismic analysis and design of new bridges as well as retrofit strategies for old bridges. It brings state-of-the-art practices in earthquake resistant design and construction of bridges to the research, teaching and design community of India . Authors: Mark Yashinsky and M.J. Karshenas. 184 pages. Seismic Hazard and Risk Analysis: This EERI monograph introduces methods of seismic hazard and risk analysis that form the basis for development of consensus probabilistic seismic hazard maps, an important prerequisite for responding effectively to earthquake risk. Author: Robin K. McGuire . 221 pages. Earthquake Dynamics of Structures, A Primer: This EERI monograph provides a primer on the fundamentals of structural dynamics, with the intention of providing the non-specialist in dynamics with the basic concepts and knowledge needed to understand the response of structures to earthquake motions. Authors: Anil K. Chopra. 131 pages. Earthquake Design Criteria: This EERI monograph presents information on the earthquake performance of structures and on important aspects of specifying seismic design criteria. Authors: G. W. Housner and P. C. Jennings. 128 pages. Keeping Schools Safe in Earthquakes: This monograph presents a series of papers authored by participants of the 2004 OECD-GHI Meeting at Paris . The articles encompass issues pertaining to new buildings, retrofitting of old buildings as well as enforcement and public policy towards maximizing seismic safety of schools. Earthquake Rebuilding in Gujarat , India: This publication describes the post-earthquake recovery process after the Bhuj 2001 earthquake. It showcases the complex and challenging recovery phase and the strategies employed by the communities towards disaster mitigation that can serve as useful lessons and guidelines for handling future disasters. Authors: C.V.R. Murty, Marjorie Greene, Sudhir K. Jain, N. Purendra Prasad, Vipul V. Mehta . 120 pages. The Great Sumatra Earthquake and Andaman Ocean Tsunami of December 26, 2004: A report based on a reconnaissance study coordinated by IIT Kanpur, this publication gives an overview of the effects in Indian territory of the 2004 Sumatra tsunami and the earthquake. Originally published in EERI newsletter. Authors: Sudhir K. Jain, et.al. 16 pages in colour. Reconnaissance Report of Sikkim Earthquake of 14 February 2006: This reconnaissance study report by IIT Kanpur summarises the damages caused by the moderate 5.7 magnitude earthquake. Authors: Hemant B. Kaushik, Kaustubh Dasgupta, Dipti R. Sahu and Gayatri Kharel. 20 pages in colour . Annotated Images from the Bhuj, India Earthquake of January 26, 2001 (CD): This CD compiled by EERI contains annotated images from the Bhuj, India Earthquake of January 26, 2001 . Over 300 images illustrate widespread damages of different categories. 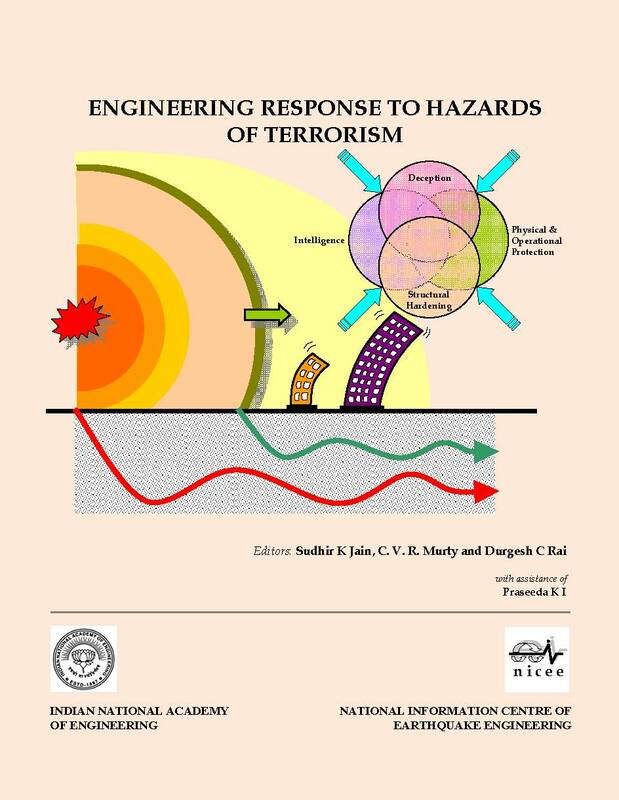 Engineering Response to Hazards of Terrorism: This volume contains the articles or power point presentations made during the seminar. The seminar themes included hazard estimations, structural and non-structural mitigaton measures and hazard detection.Authors: Sudhir K. Jain, C.V.R. Murty and D.C. Rai. 398 pages.